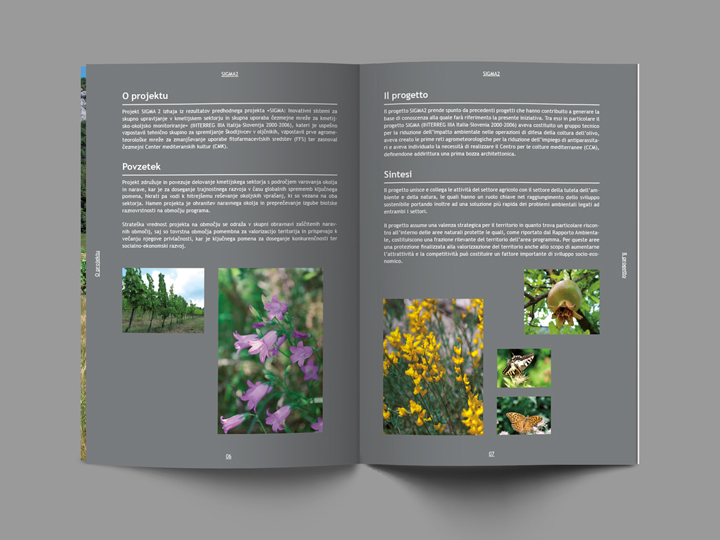 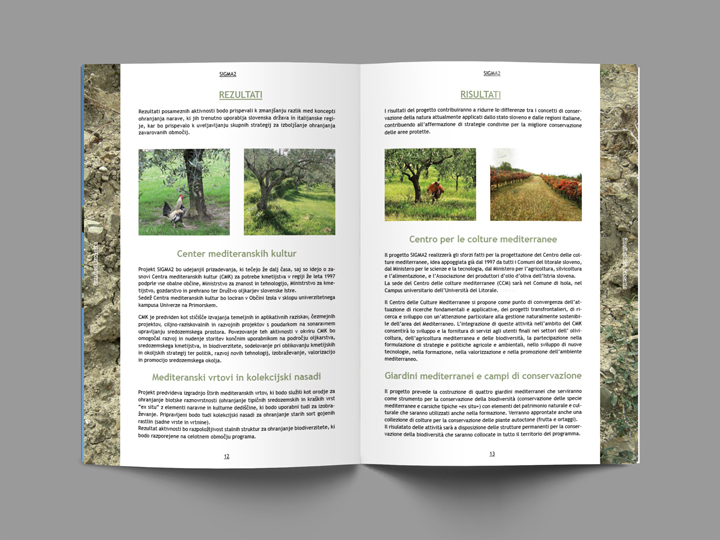 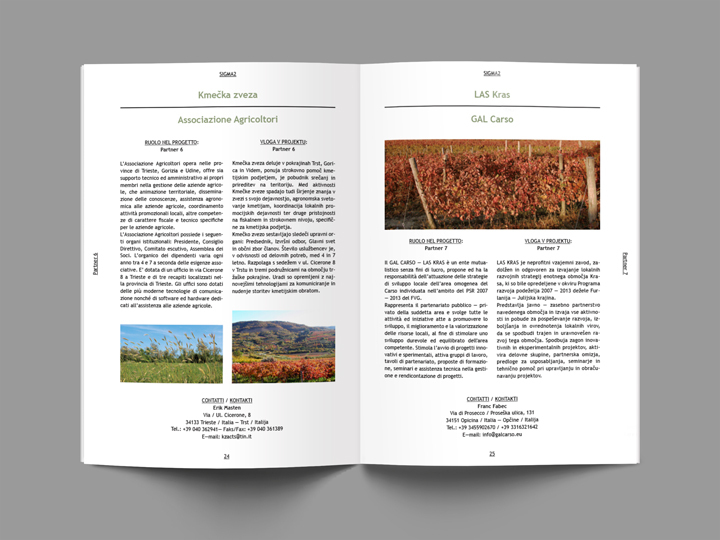 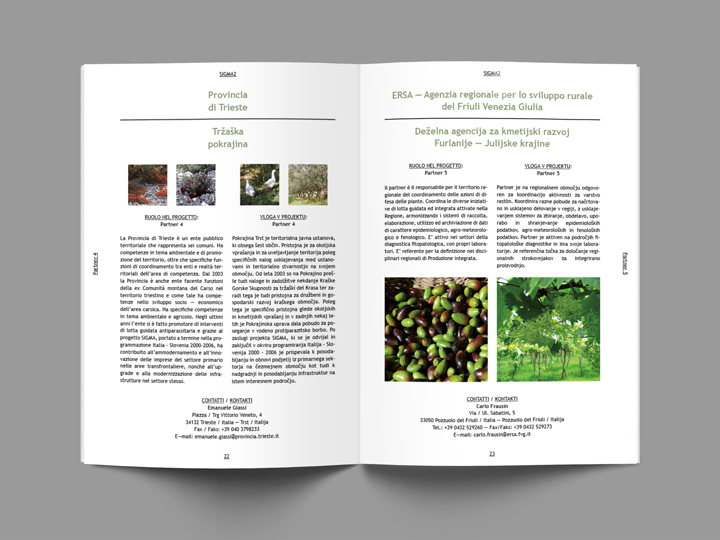 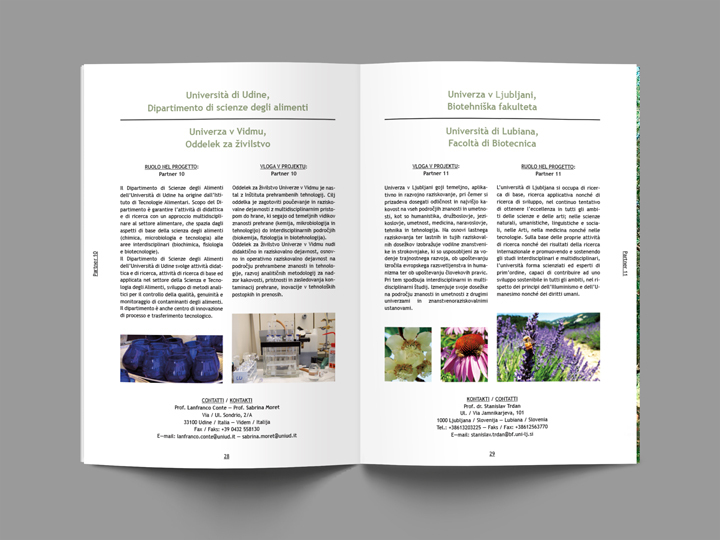 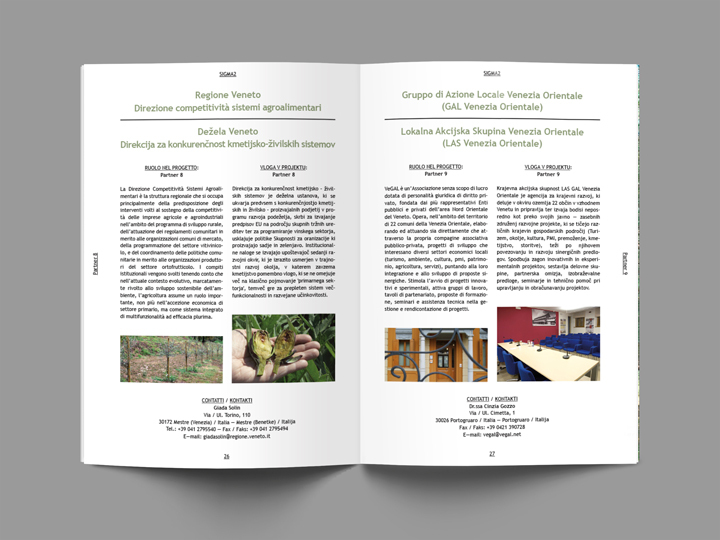 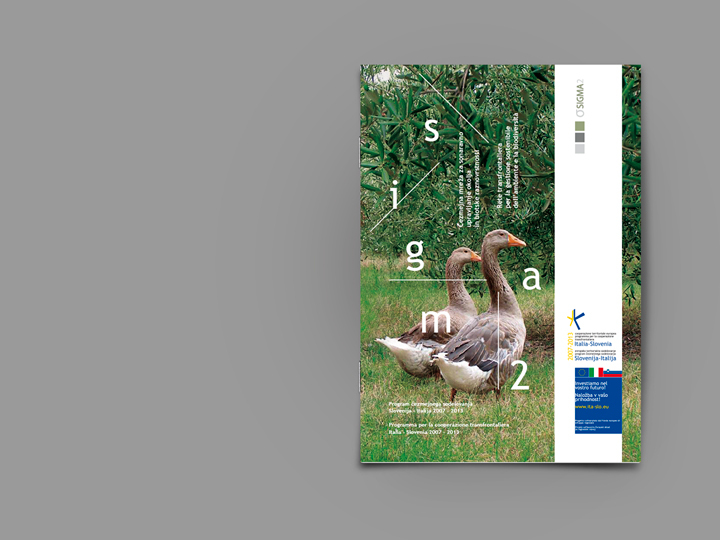 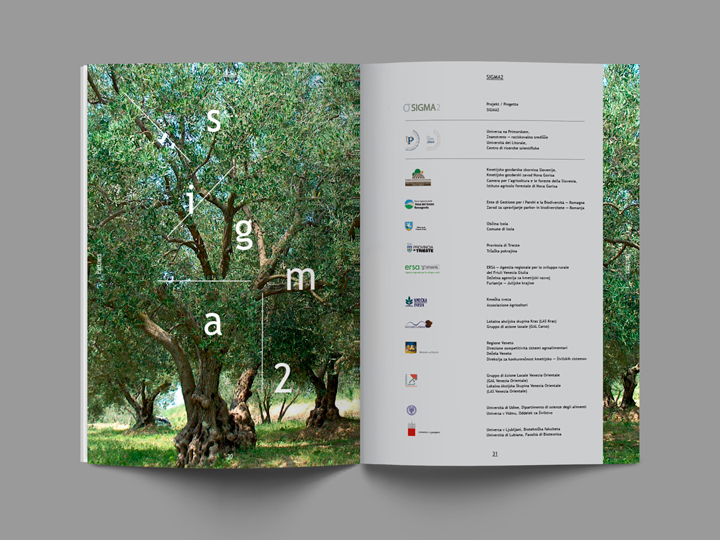 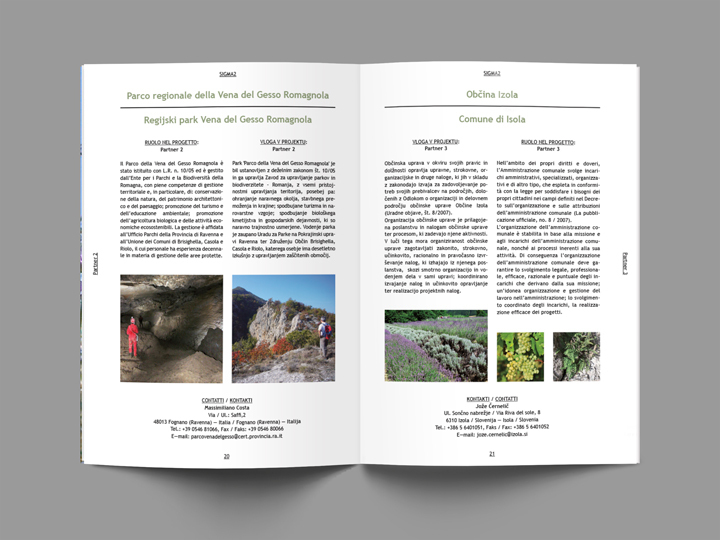 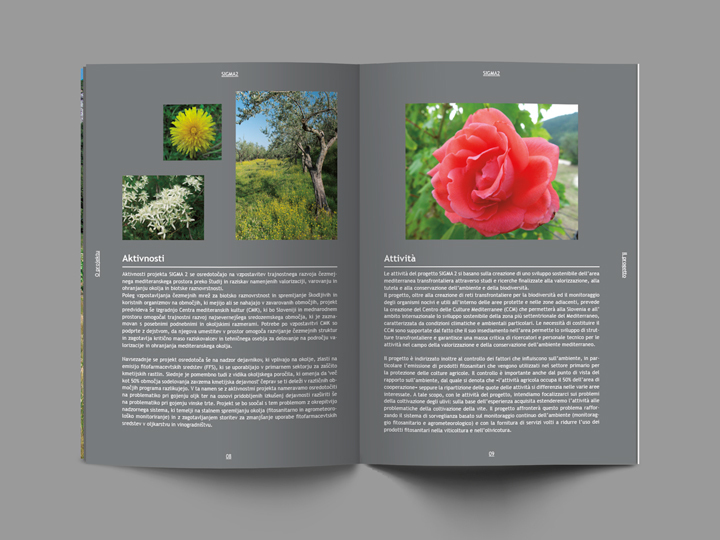 SIGMA2 is an European project who aims to create a cross-border (Italy — Slovenia) network for the sustainable management of the environment and biodiversity. 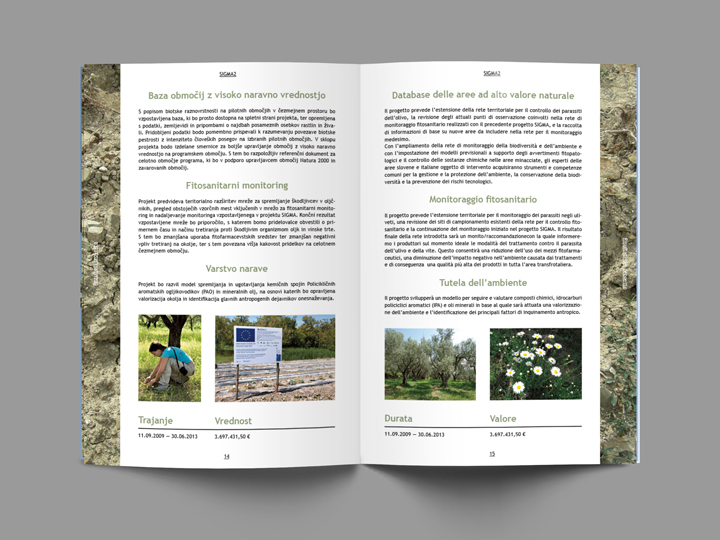 The general goals of the project are the creation a joint protection of natural spaces, the conservation of biodiversity in the territory, the increasing of attraction and competiveness of the programme area, the introduction of technologies which allow the optimisation of communication flow between the technician and the producer and the promotion of the professional qualification of sector technicians and the informed participation of the producers of the region. 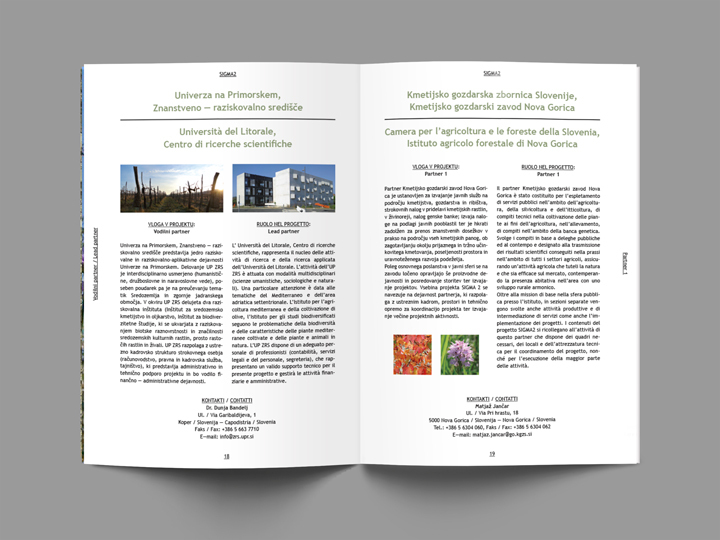 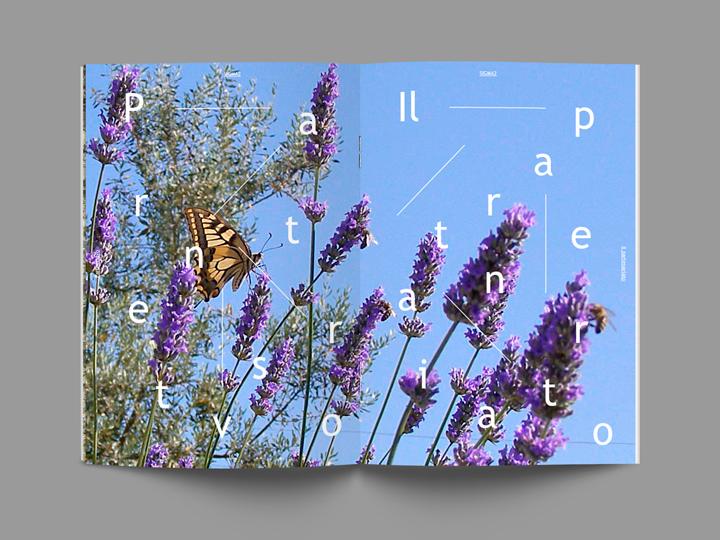 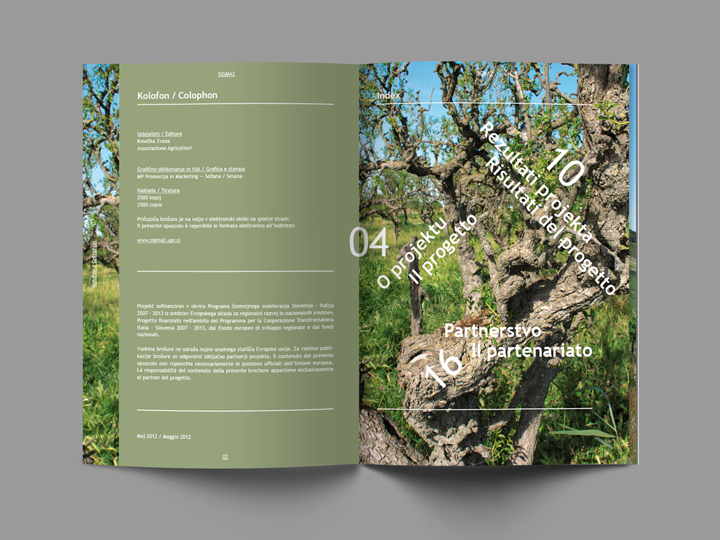 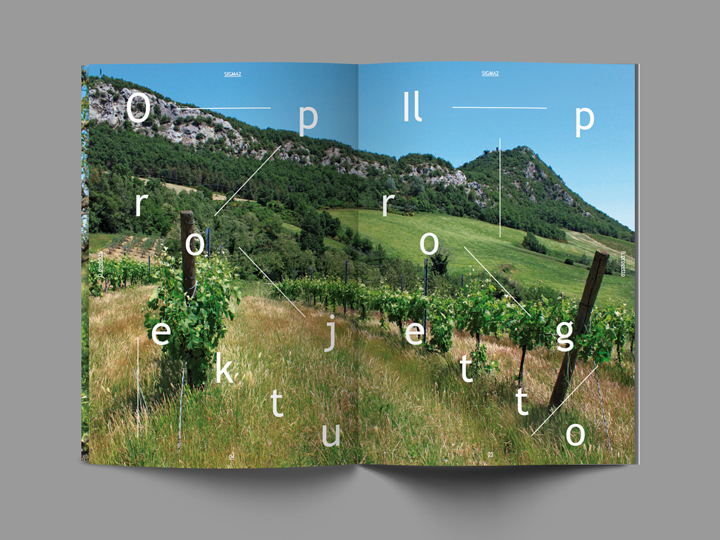 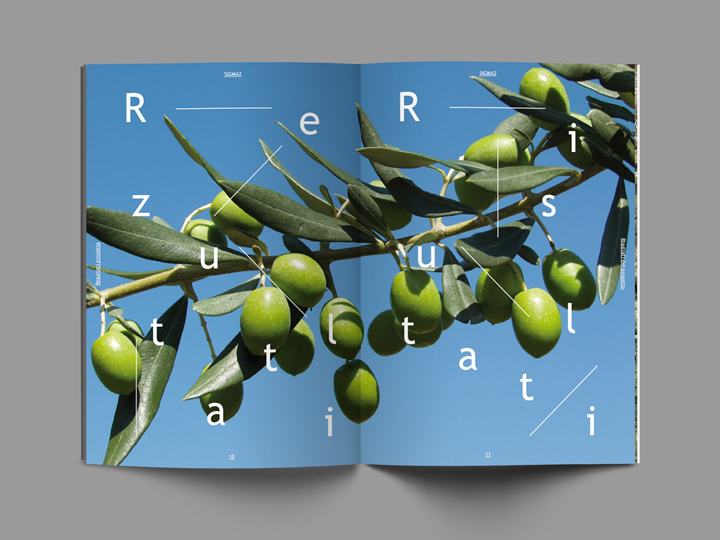 I designed the 32 pages A5 size bilingual (italian and slovene) informative brochure of the project, strictly respecting the visual identity rules of the European Community Project ITA-SLO 2007/2013 (more about this here) such as, for example, the only use of the Trebuchet font family and the straight positioning of Community logos on the cover and on the backcover. 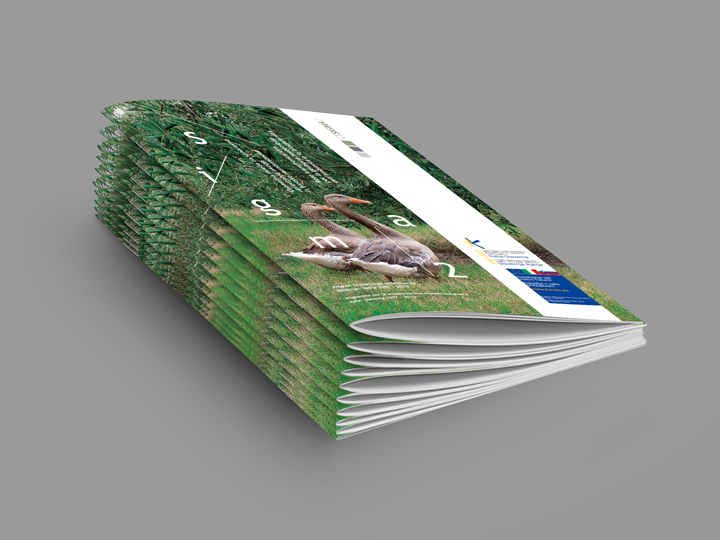 2500 copies printed on a 220 gsm ice white natural paper.